Yesterday's post was about small closet organizing. Today I'm picking for you 10 pretty and practical containers you can put inside your closet and keep your clothes and accessories in place. 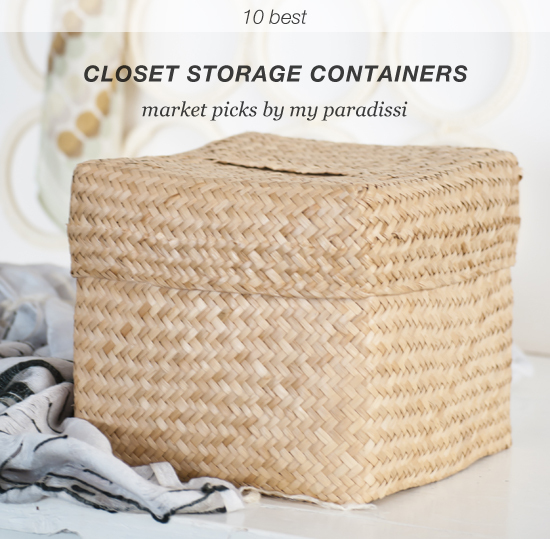 4 comments on "10 best: Closet storage containers"
Love all of these, especially the lidded basket at the top and the wire ones. I also really like colorful/patterned baskets! These are great ideas for closet storage containers, especially for the kids. My daughter has a number of accessories, and my sons, although they are easy to dress up, they have a number of similar pieces of clothes that needs to be separated.